Abigail Aronson is a Staff Reporter for the ‘Science Survey’ and the Sidebar and Captions Editor for the ‘Observatory’. She enjoys journalistic writing because it provides a voice for the student body. 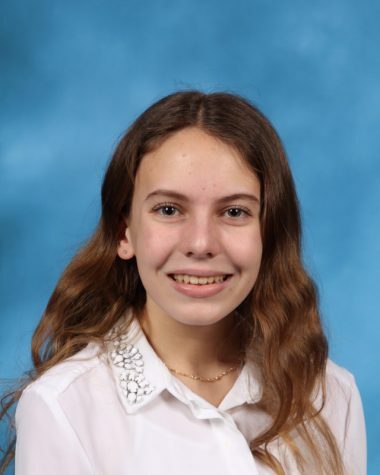 Abigail interviews students and includes their opinions and thoughts in her writing, which helps her to cover her Bronx Science peers journalistically. She enjoys journalistic photography because it puts a face or image on the topic. Photographs present a visual component to writing, helping to immerse the viewer into the issue presented. Abigail has a passion for visual art and the environment. She spends time at the Metropolitan Museum of Art, viewing paintings by some of her favorite artists, such as Monet. She volunteers for her local park, working on ecological restoration. She enjoys riding her bike by the river in her free time and taking walks down Broadway. Abigail plans to study biology and international affairs in college. She has interests in many different disciplines, so she is undecided about her major as of now. She hopes to pursue journalism by writing for her college’s newspaper, and perhaps taking a news and media or photography class.